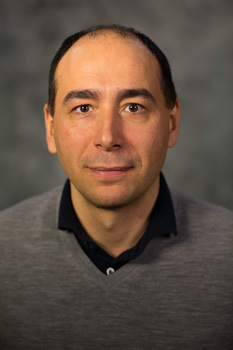 Peter Iliev is an Associate Professor of Finance at the Smeal College of Business, Pennsylvania State University, where he teaches financial management. He received his Ph.D. from Brown University and held an appointment as Financial Economist with the U.S. Securities and Exchange Commission in Washington, DC. His research interests include financial regulation, corporate governance, and corporate finance. His research has appeared in the Journal of Finance, the Review of Financial Studies, the Journal of Financial Economics, the Journal of Accounting Research, and Management Science. It has also been covered in the Wall Street Journal, the Washington Post, the Dallas Morning News, Bloomberg, Barron's, the Columbia Law School Blue Sky Blog, and the Harvard Law School Forum on Corporate Governance and Financial Regulation. Besides research and teaching, Peter enjoys playing tennis, and spending time with his family. Development of advanced practices of financial management and their application to decision making in a business firm. Iliev P. G., Vitanova S., "The Effect of Say-on-Pay in the U.S." Management Science, 2018, pp. 43. Iliev P. G., Gustafson M., "The Effects of Removing Barriers to Equity Issuance." Journal of Financial Economics, vol. 124, no. 3, 2017, pp. 580-598. Iliev P. G., Cao Q., Velthuis R., "Style Drift: Evidence from Small-Cap Mutual Funds." Journal of Banking and Finance, vol. 78, 2017, pp. 42-57. ─ Editor’s Choice (Lead) Article. Iliev P. G., Lowry M. B., "Are Mutual Funds Active Voters?." Review of Financial Studies, vol. 28, no. 2, 2015, pp. 446-485. ─ Re-published in the Journal of Accounting Research Virtual Issue on International Accounting Research; IIROC-DeGroote Annual Conference Best Paper Award 2010..
─ Lead article; Runner-up for the 2012 Oliver E. Williamson Prize for Best Article in Law,Economics and Organization. Iliev P. G., "The Effect of SOX Section 404 Compliance on Audit Fees, Earnings Quality and Stock Prices." Journal of Finance, vol. LXV, no. 3, 2010, pp. 1163-1196.